Welcome to Serenity, an Award Winning Clinic, where we pride ourselves on our standards and professionalism. Our Experienced and highly trained Therapists and Aesthetic Practitioners offer a wide range of cutting edge treatments. Providing tailor made result driven clinical treatments offering you the very best in skincare. We hope you benefit from our knowledge and experience, we believe you deserve the best! 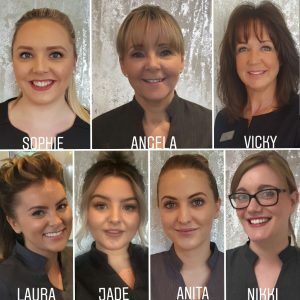 Our Beauty and Aesthetic Practitioners are updated regularly to provide an unparalleled service in the latest treatments and techniques ensuring that you receive the maximum benefit from treatments products and aftercare. 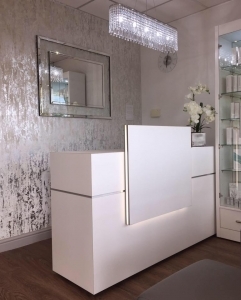 With over 29 years experience, Angela and her team hope you enjoy your visit to Serenity Beauty Clinic and benefit from our knowledge and expertise. We are 5 minutes away from Newcastle town centre and offer ample free parking.